Looking for new construction without the hassle & costly additions for landscape, decking, ect, then look no further than Trowbridge Lane! 2016/17 new build spared no expense. 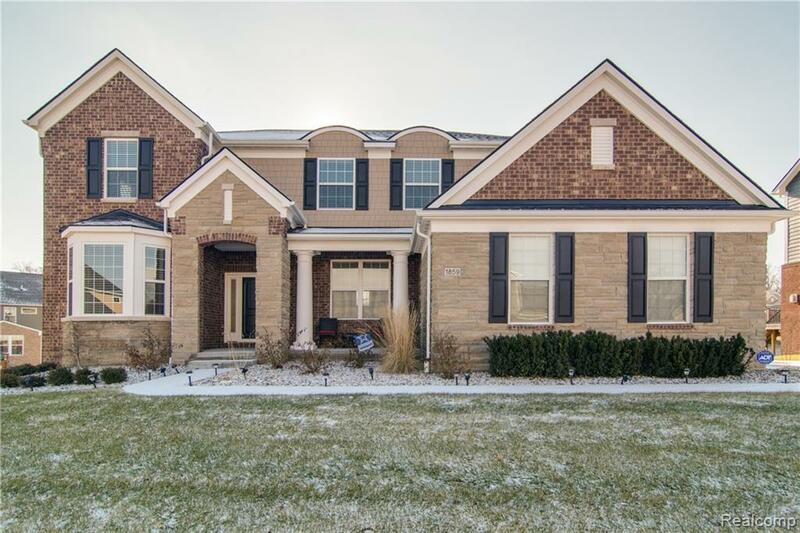 Elegant stone & brick exterior to its open floor plan w/ vaulted family room that is highlighted by a corner fireplace w/ custom trim work. Feel the luxury as you walk through the home. Beautiful hardwood floors welcome you throughout the main floor & lead you to the gourmet kitchen with 42 cabinets, crown molding, a large island, custom granite, SS appliances, & a walk in pantry. A luxurious master suite w/ its own private sitting room & an exquisite master bath along w/ huge closet space creates a world of relaxation! Like your ports or movies? Check out the media/movie room that could easily be converted to a 5th bedroom. Custom decking, a full daylight basement prepped for 4th bath, nestled deep in The Hills of Bogie Lake sub with Pool, clubhouse, walking trails, outdoor activities & much more. A true Gem!